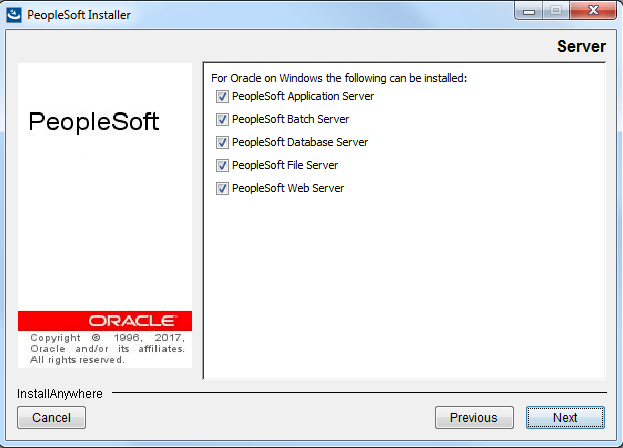 Oracle finally released the latest version of PeopleTools i.e. 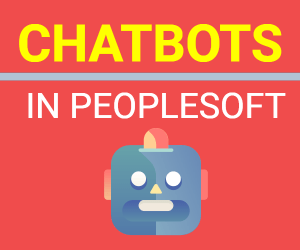 PeopleTools 8.56 on June 90, 2017. The biggest feature of PeopleTools 8.56 is Elasticsearch, which was released ahead of schedule in PeopleTools 8.55.11 itself. Apart from Elasticsearch, there are some nice features likes Classic+, which we’ll explore in upcoming posts. 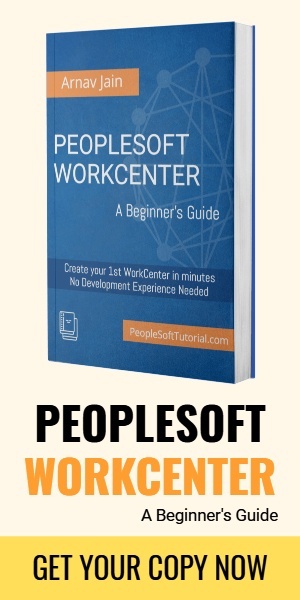 This post is to help you install PeopleTools 8.56 on Windows Platform. 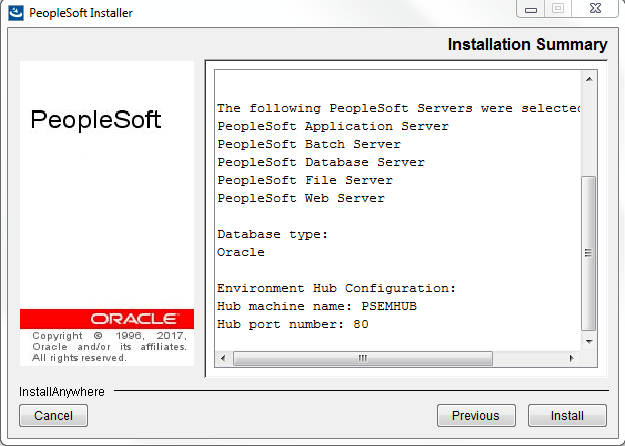 PeopleTools 8.56 setup files are available for download from Oracle’s edelivery site now. After selecting the platform you can download the 4 separate disks for PeopleTools 8.56. Download these files and save them in a directory. Let’s first explore doing the native install without using the DPK (use the files shown below). Unzip all the 4 setup files into the same directory. 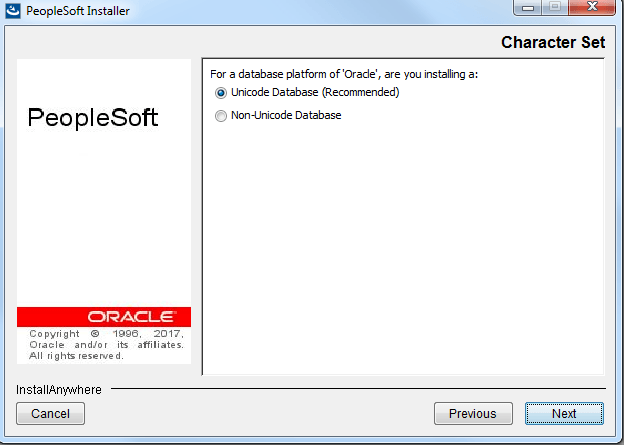 Select the database platform. Notice that it is also a newer option in PeopleTools 8.56, which was not there earlier. 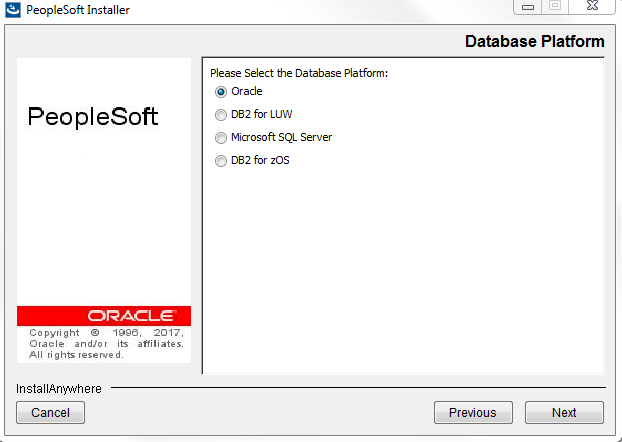 Select the database platform. Default option is ‘Non Unicode’. Select the components you want to install. 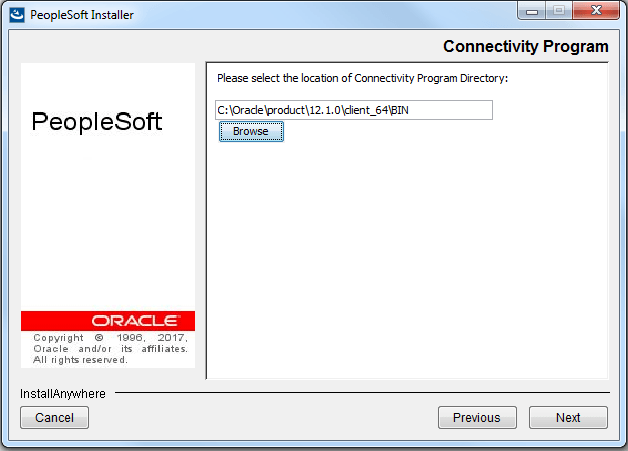 Based on the selection made here, associated files will be generated in the install directory. 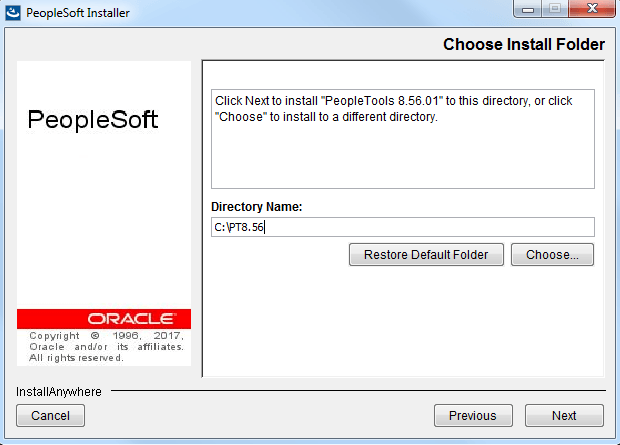 Enter the path of the directory where you want to install PeopleTools. Next you will be asked to provide connectivity program directory. For Oracle database it would be the path for Oracle 64 bit bin directory. 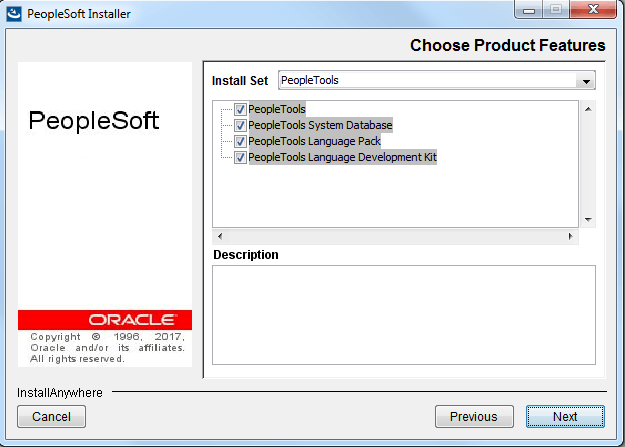 Select if you wish to install PeopleTools icons. Provide the name for the Program group folder. 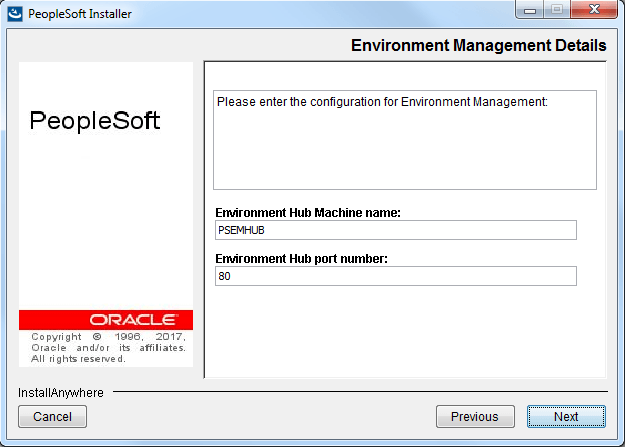 Click ‘Next’ for Environment Management details. 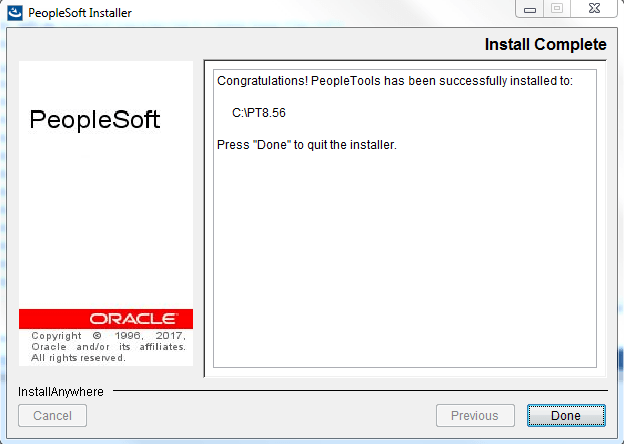 PeopleTools 8.56 installation is finished now. 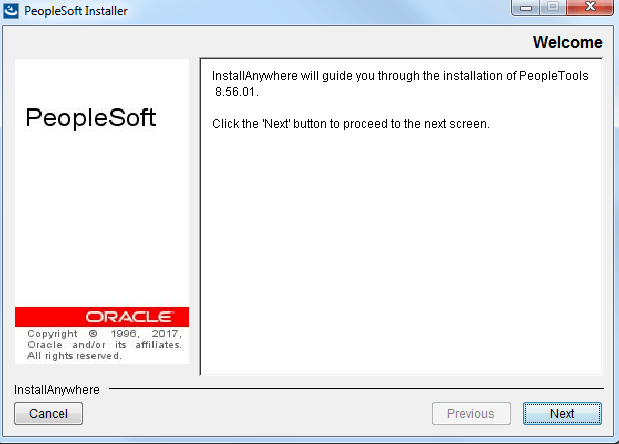 Strangely enough, I noticed two other things, which are a departure from previous installs of PeopleTools versions. 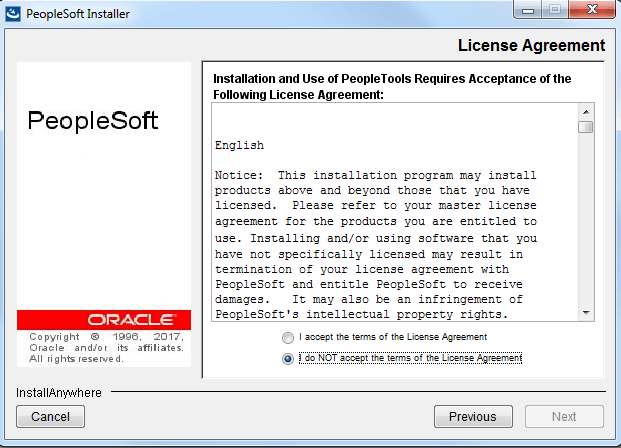 It did not ask me to provide PeopleTools 8.56 license key and also it did not ask me to provide the email address. Check the PeopleTools installation log for any errors. It is located in <PS_HOME> and the name is like PeopleTools_Install_mm_dd_yyyy_hh_mm_ss.log . PeopleTools File Server Size was 5.85 GB in my case and is almost half the size of previous and recent PeopleTools releases. How long will your PeopleTools version be supported?